If that was true, then why did it always feel like I was last on his list? Why did it feel like everything--everyone--else took precedence over our time together? L.H. 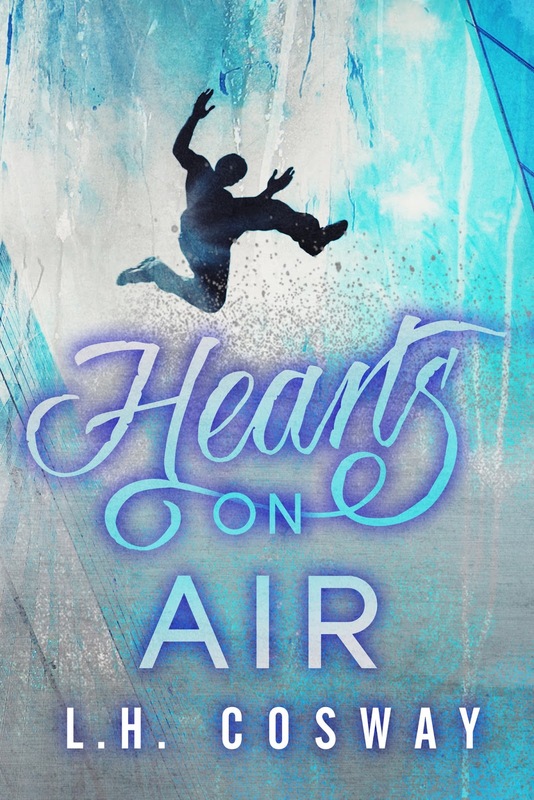 Cosway has taken the second chance romance trope and given it a boost of adrenaline in Hearts on Air, the sixth--and I'm guessing final--full-length novel in her Hearts series. This also includes One Epic Night, the prologue which was exclusively available to Cosway's newsletter subscribers and tells the story of how and when the relationship between best friends Trevor Cross and Reya Cabrera changed from platonic yet flirty to something far more intimate and romantic. Hearts on Air may be part of a series but this can certainly be read as a standalone. How do I know? Because, believe it or not, this was my first ever read from the author. Sad but true, though I did buy the Hearts Series set which contains the first four full-length novels plus a bonus novella as well as the fifth book back in February and I bought the series starter in March of 2015. I seriously have no excuse for not reading everything other than lack of time. Long story short, I read this series in reverse order, and while my curiosity regarding the other couples was piqued, I was able to thoroughly enjoy and fall in love with Trev and Reya's story. They didn't meet as children, not even as teenagers. Trevor Cross and Reya Cabrera were in their early twenties when they met courtesy of his older brother and her best friend, but they forged a friendship that had Reya thinking of Trev as the person closest in her life and vice versa. It took one night to change their friendship, but it also took Trev's dream coming true for their relationship to abruptly end. Two years later, he's one of the five parkour athletes that has made Running on Air a must-watch television program and she's still performing in clubs and writing songs while making ends meet by giving piano lessons. When Trev returns, Reya isn't prepared, but when she loses a regular gig and he steps in by offering her to work as one of the personal assistants for the show during their three-week European tour, Reya knows she'll have to shelve her apprehensions, especially since Trev insists this will be a good way for her to get her name out there while finding other gigs around Europe. He says all he wants in return is for them to be friends again, but with every passing day, it feels as if he wants more. Can Reya risk getting her heart broken again by the very same person or could this be their chance to finally get things right? Purchase Hearts on Air on Amazon | B&N | iBooks | Kobo.